When you think of food and drink pairings, your mind probably tends to gravitate towards wine pairings. However, no matter what type of alcohol you’re looking to serve with a dish, there are likely to be some important guidelines you’ll want to keep in mind for the best flavors. And believe it or not, this even applies to your weekly taco night. Specifically, there are some beers, wines, and cocktails that tend to pair especially well with your favorite Mexican tacos recipe. 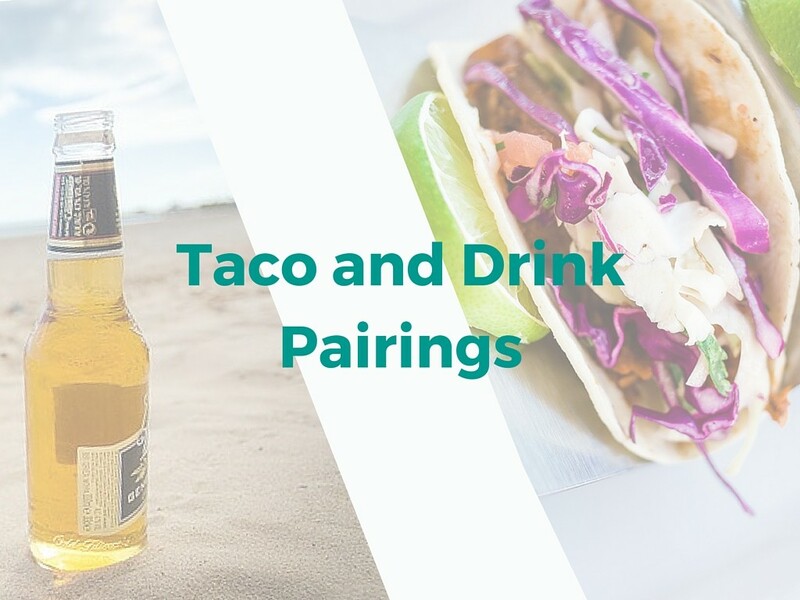 By gaining a better understanding of what pairs well with tacos, you and your guests can better enjoy your next taco night! What could be better than tacos and beer? The right combination of tacos and beer. Generally, you can’t go wrong with an American Pale Ale (APA) when you’re serving up any type of taco—whether stuffed with chicken, pork, fish, or beef. Specifically, the bitterness from the hops and the malt from the beer are perfect for bringing out the best flavors of the tortillas and spices without them becoming overwhelming in the process. Furthermore, APAs with a touch of citrus (such as lime or orange) are excellent when paired with an authentic taco with cilantro and lime. Wine might not seem like the obvious go-to for Mexican food, but the right wine paired with tacos can be truly outstanding. Perhaps the best rule to keep in mind when pairing wine with tacos is that you should match the color of your meat to the color of your wine. In other words, if you’re serving up a white meat with your tacos (such as chicken), then you’ll want to go with a white wine. On the other hand, red meats (such as steak or beef) should be paired with a red wine. Generally, it’s best to stay away from sweet wines when pairing with tacos, as the sweetness in such wines can contrast too harshly with the spices in the average taco seasonings. When all else fails, you really can’t go wrong with a red rosé or a sauvignon blanc. Add all ingredients to a cocktail shaker; shake well, then strain into a martini glass and garnish with a fresh orange, lime, or lemon wedge (your choice). Try this with your next taco recipe! Now that you know you can enjoy tacos with more than just tequila, what will you pair with yours on taco night?